Desperate to de-clutter, yet always on the look-out for new ones to entertain the kids? Come along and revive your toy collection by donating toys that your kids no longer play with and/or collect toys your kids would love! It’s a unique chance to de-clutter, pick-up some great toys as well as help raise funds for the Starlight Children’s Foundation. Children’s playgrounds, family prize raffle, sausage sizzle and more to enjoy on the day. To collect a toy, you will have the opportunity to donate its suggested value in donation boxes (cash or coin donations – sorry no eftpos). 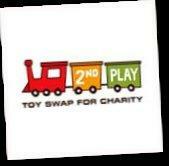 What kind of toys can be donated? • Toys in good condition, good working order, clean, complete (no missing pieces) and likely to attract a minimum $5 donation. Please note: No soft toys accepted. All proceeds will proudly support the Starlight Children’s Foundation.